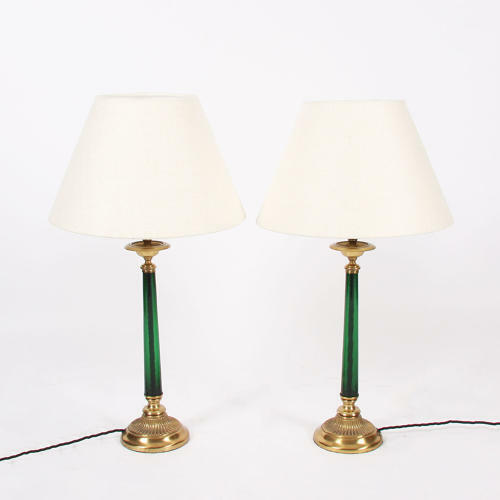 A lovely pair of green glass, and brass, table lamps. With beautiful detail to the base. Pictured with a pair of cream linen shades.